In his most recent article for the Philippine Daily Inquirer, Jaime Licauco tackled telepathy. The gist of the whole piece is that telepathy is real and that it has been proven through experiments in laboratories. Licauco dropped two names in the article - the astronaut Edgar Mitchell and the self-proclaimed psychic Uri Geller. According to Licauco, these two individuals have demonstrated in the past that telepathy is real. However, the boldest claim in the article goes to Licauco's proclamation that he has been teaching telepathy courses for several decades and that around 60% of the results from the experiments he did in said courses are positive. This is Licauco saying that his courses prove telepathy 60% of the time. There is of course no way of verifying if Licauco is telling the truth. But if Licauco has such a very high success rate in his experiments, why won't he take James Randi's One Million Dollar Paranormal Challenge? This way, he'll prove once and for all that telepathy is real. The fact that he hasn't taken the challenge says a lot about what he can and cannot actually do. First of all, there is no scientific evidence that telepathy is real. There's zero evidence supporting it. It's only real in modern fiction and science fiction. The superhero Aquaman has it. But no real man has ever displayed it satisfactorily. Let's go back to the two names that Licauco dropped in his article - Edgar Mitchell and Uri Geller. Mitchell's purported ESP experiment is rife with lies and misleading data. It has been debunked several times and the people who support it has been caught lying and manipulating information numerous times. 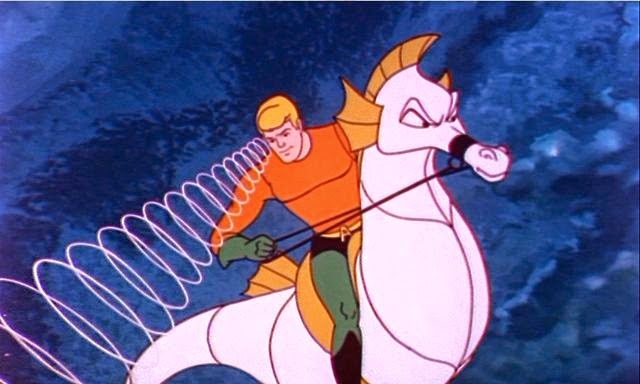 Aquaman is the only man known to have displayed telepathic abilities. Unfortunately, he's a fictional character. As to Uri Geller, he has also been debunked several times, most popularly by James Randi. Geller is not a psychic. He is but a talented magician who has been trying to pass off his magic tricks as paranormal abilities. It's still mind-boggling why the Philippine Daily Inquirer continues to serve as a mouthpiece for such pseudoscientific beliefs. What's dangerous is that Licauco drops still unproven information in his articles as if they are facts. We need real science being talked about in our national newspapers, not these nonsense.